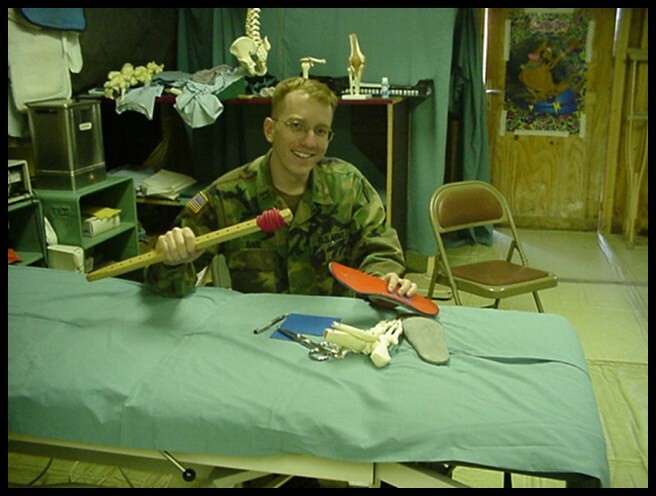 In 1996 I had been a physical therapist for 2 years and I left my assignment at Ft. Campbell, KY to attend a 2 week continuing education course at Ft Sam Houston, TX. 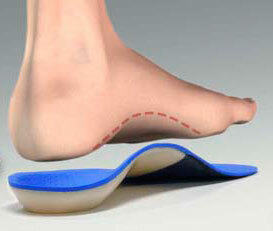 During the course a man named Michael Cane taught 8 hours on gait, biomechanics and orthotics. It was completely over my head. I was so angry that Physical Therapy school had completely failed to teach anything useful on the subject, that I was on a mission to remedy the situation. I took a Michael Cane’s 3 day course, another 3 day course taught by a Podiatrist and another by an Orthotist. I took another 3 courses and dove into the research…in 1998 I re-wrote the curriculum of lower extremity biomechanics, gait and orthotic treatment for Baylor University. By 2001 I had become the Military’s gait and biomechanics expert (across all services) and was a guest instructor in 2 different Graduate PT programs and 2 different clinical residencies. I developed my own 3 day continuing education course and I have taught it all over the country. God provided a perfect environment for me to become the expert described above… I grew up working for my dad as a machinist, so I had a comfort level with building and machine work. The Army provided me with an endless supply of Soldiers not biomechanically designed to run or march. I had access to some of the best orthotic labs in the nation, mentoring by orthotists with decades of experience and plenty of supplies. My skills were honed and I still learn from every patient I evaluate and treat. Every patient is so very unique. 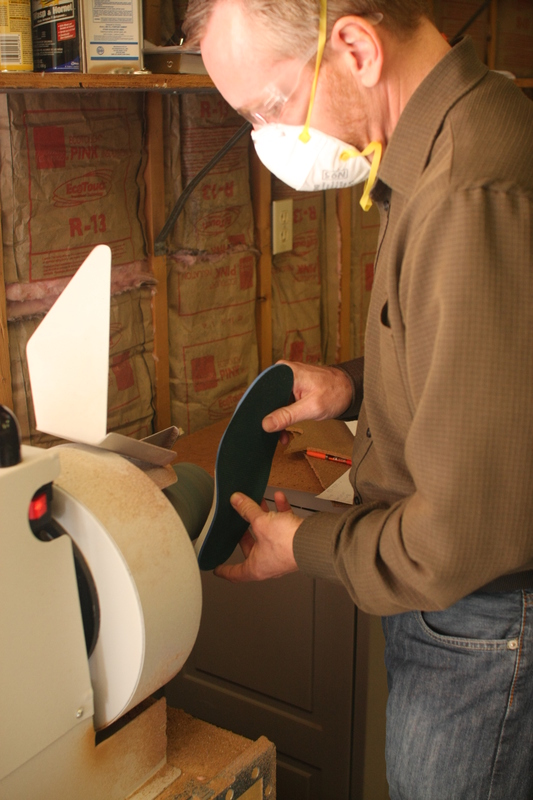 I’ve made over 5000 pair of orthotics. I’ve made orthotics for patients as young as 6 and as old as 96, patients who are Olympic track and field athletes, recreational and high school athletes and patients just struggling to walk without a cane or crutches. Do you have pain in your back, hips, knees, shins, ankles or feet? 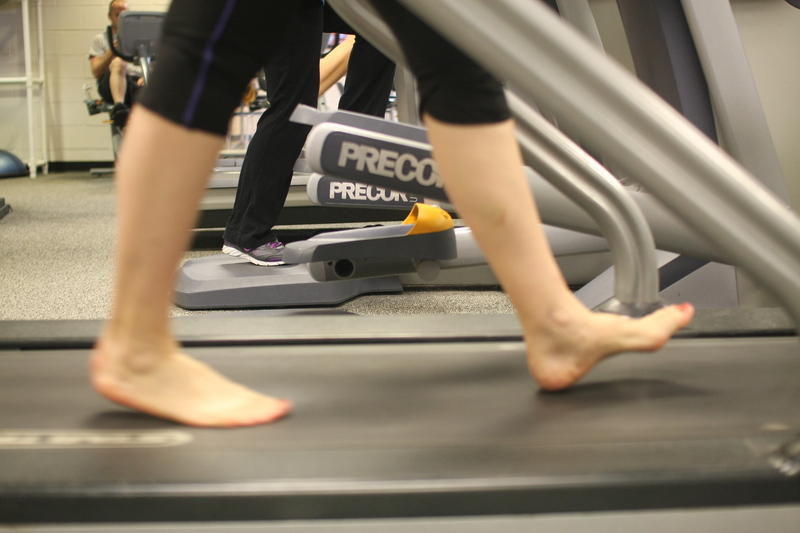 Have you a bag full of orthotics that didn’t help your pain in the past? If I evaluate you, you will see my evaluation will be comprehensive, I will explain to you what is working and not working throughout your stride and if an orthotic can help you. I will provide a comfortable and affordable device and you will have the chance to finally turn that page in the chapter of your life.